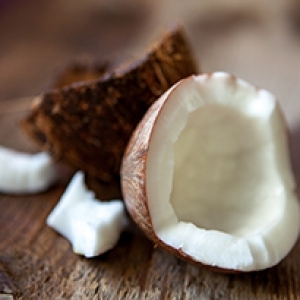 Coconuts are full of iron, which helps our body avoid fatigue. Mixed with the carbs from the oatmeal, the protein from the almond and oatmeal, and the fiber from the banana, this is a well-balanced energy cookie. To replace the typical oil used in cookies, I recommend coconut oil, which can boost thyroid function and increase metabolism, energy, and endurance. 1. Preheat oven to 350F. Place almonds in food processor and grind finely; set aside. Using a blender, blend the coconut oil, maple syrup, eggs, and vanilla. 2. In a large mixing bowl, beat the banana oats, and ground almonds with a mixer. Add the coconut oil mixture and stir until well combined. 3. Drop rounded tablespoons on a nonstick baking sheet. 4. Bake for 12 minutes. Transfer to a cooling rack and sprinkle with the coconut flakes. May these energy-packed cookies fuel your busy holidays. Enjoy! For more YogaLean information and recipes, grab a copy of Beth Shaw’s YogaLean book today.